... or just a sure path to more tragedy. Find out in Bridgetown High, for sale on Amazon - http://www.amazon.com/dp/1680583093/ref=cm_sw_su_dp and please "Like" and "Share" this post. Hi, all my faithful followers. I want you all to know I truly appreciate those of you who have been following me for a while. You probably know, and maybe even grieved with me, as I've let you in on my struggles to become a published author. By now I think you all know that my dream has become real! 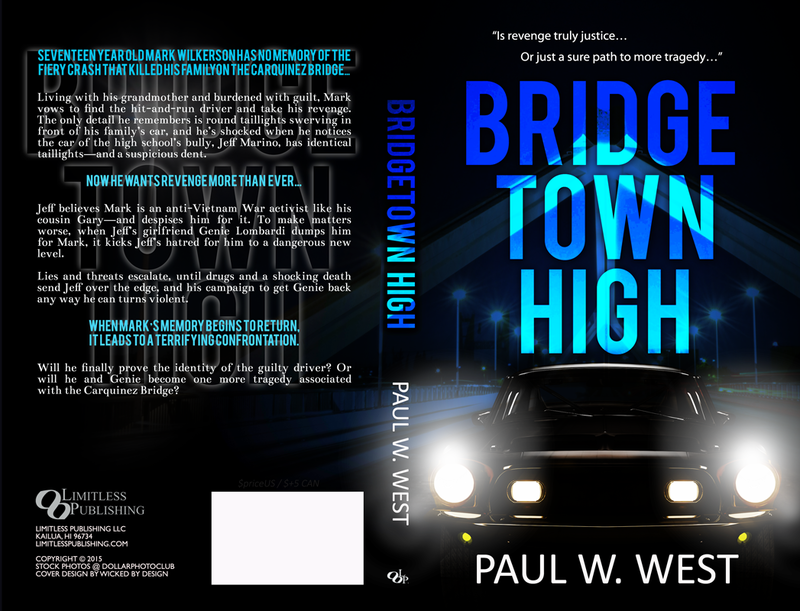 My book, "Bridgetown High." has become a reality. It's been exciting, and I hope you have shared that excitement with me. Now, the journey is far from over. I still have to get people to purchase my book. I'm reading up on all the different ways to do that, but I have no idea if they are working. My biggest marketing tools are Amazon, Facebook, and Goodreads, but I can't find a way to determine how many books have sold, or how the sales are going. My publisher is supposed to have some people who will write reviews in Amazon, but I haven't seen their reviews yet. Reviews are a huge part of marketing. It helps possible purchasers to decide whether to buy my book or not. For those of you who have bought my book, I sincerely thank you. Have you written a review yet? I would truly appreciate it if you would. Hang in there, all of you, my faithful followers. The journey is not anywhere near finished. And, I have GERTA! waiting in the wings, so to speak, if I can find time to work on it. 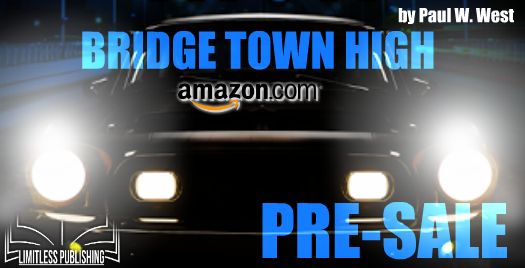 Another exciting day as the paperback version of Bridgetown High came out today. For all those of you who want a paperback version, it's now for sale at Amazon. 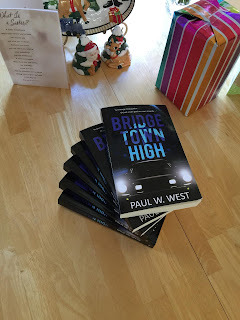 Go to paulwwest.com or bridgetownhigh.com and follow the links. What d'ya think? If you haven't seen it before, this is the cover for my novel Bridgetown High. Is this cool or what? I think if you click on the picture it will enlarge??? Ever since I got this cover this week has been exciting. My newest granddaughter is growing and doing well. I can't wait for an excuse to see her again. It's a bit of a drive. Oh, yeah. You (all my faithful followers) probably want to read about my novel, beyond what I said about the book cover. My son is busy creating a new website for my novel and a new blog for me. I've also been searching around trying to find ways to market it. Limitless Publishing suggested I have a cover-reveal to show off the book cover (above). I guess you could say I'm doing that kind of piecemeal. Next, is the pre-sale goes live September 26, so all you faithful followers can pre-order it so it will come to you as soon as it goes live. I'm hoping I can help set the price of the pre-ordered books to give you faithful followers a discount. Not sure if I can do this, but I'll try. Going live will be October 6. So if you pre-ordered or can get on Amazon the day it goes live, you should be able to get it that same day. I'm excited to see the actual book, hold it in my hands. Then, I can resume work on my next novel GERTA!. First, I got a new granddaughter. She's a delight already. The hospital made my daughter sign a paper that she wouldn't tell anyone any of the details, so, sorry if you want more details. Hospital's orders. Then, I got back all the edits from Limitless's editor and fixed what I could and commented on what I thought should be left alone. I don't think the editor understands colloquialisms and dialectics very well. That's OK. Hopefully he learned some of that from me. A couple of days ago I got back the jacket cover and blurb. Fantastic, both. Everyone who saw it had about the same reaction: "Awesome!" Man, with a jacket cover and jacket blurb like these, I can't see why it wouldn't sell and sell big. Here's to crossing my fingers. There's nothing on them yet, but he'll help me fill them out. I can't be more excited!!! The book won't come out until October or November, so, all you faithful followers, hang on. The ride isn't over yet. Does anyone know how to get people to read a blog? I guess when it comes to being technologically talented, I missed the boat when God passed that talent out. My publisher, Limitless Publishing, asked if I minded that they slip the editing effort by a few days. Sure. I will still have two weeks to fix whatever he finds wrong, but won't effect the release date. I hesitate to mention the date as that may end up slipping too. eventually. I wrote back and said it was OK, but I'm extremely anxious to see what kinds of edits he comes up with. Bridgetown High (assuming the title remains the same) has been edited over and over by several people in my critique group. It reads pretty smooth in my opinion. So, to all you faithful followers, hang in with me and see what the publishing process is like. And, when that is over, I'll teach you all how to write a best selling novel - assuming my novel achieves that status, ha ha ha. Or, maybe it will be GERTA! that achieves that status. My publisher, Limitless Publishing is, so far, doing a great job. They're requiring a lot from me, but they're still doing the bulk of the work. So far, the biggest task I've had to do was to go through my novel's manuscript and format it according to their standards. It took me a few days (considering I can only work on it during my lunch breaks at work), but I got it in on time. So far, so good. Now the novel is in their hands. They will now do the major edits for content, as well as for grammar, syntax, spelling, and anything else they might find. So, for all you faithful followers (all 2 or 3 of you), keep tuned. There's a lot more to come. We haven't even begun to talk about marketing. That's the scary part. Wish me luck with that. 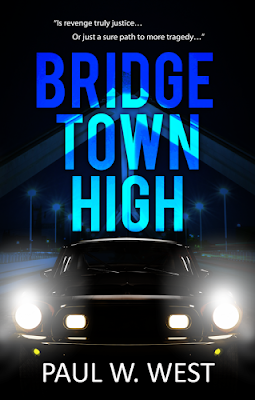 "Limitless Publishing would like to request the full manuscript for Bridgetown High. Please send at your earliest convenience. Not holding my breath just yet, but it's getting difficult to not hyperventilate. Back in October I asked: If any of you (1 or 2 of you) would like to review my novel, I'd be very open to letting you do that, but I need an honest critique and I can't pay anything. However, I would be open to paying a percentage of the advance and royalties, assuming there are any.